When you make a workers’ compensation claim in South Carolina, your workers’ compensation comes in a few different forms. Workers’ compensation insurance generally pays for your medical bills and rehabilitation treatments as they occur. Your wage replacement and disability compensation come in the form of a weekly payment. The size of this weekly payment varies from person to person. Several calculations go into determining your weekly compensation, including your weekly salary, the severity of your disability, and the permanence of your disability. South Carolina state law has provisions that specify specific payments for specific types of injuries, but if you don’t know what these are, there’s a chance you could be underpaid for your work injury. With this in mind, the workers’ compensation attorneys at McWhirter, Bellinger & Associates want to share their knowledge of the system with you. If you suffer an injury on the job, call them at 888-353-5513 for a free initial consultation. The basic unit of payment for workers’ compensation is your average weekly wage. This is calculated by looking at how much you were paid per week over the last four fiscal quarters (not including the quarter you got hurt) and averaging that number. Your wage replacement payment is two-thirds of your average weekly wage. Add up the total amount on your paychecks between 1 January 2015 and 1 January 2016. The number you end up with is your average weekly payment. There are two limits on this: First, your average weekly payment must come to at least $75. If two thirds of your average weekly wage is less than $75, you get full wages rather than two thirds of the full amount. 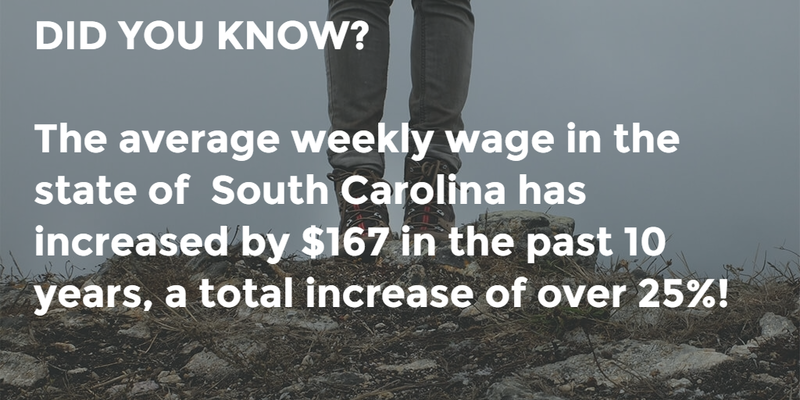 Second, your compensation cannot go higher than the average weekly wage in the State of South Carolina. The state’s Workers’ Compensation Commission determines the average weekly wage each year. For 2016, they’ve determined it to be $784.03. So you cannot receive a payment larger than $784.03 per week, even if two thirds of your weekly wage is much higher than that. Some injuries get better, others don’t. 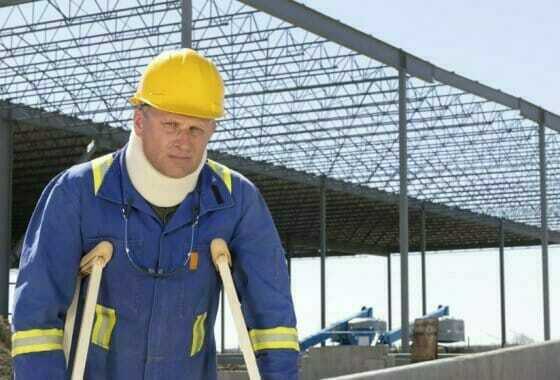 Some injuries allow you to return to your old job, others prevent you from ever working any sort of job again. Whether your injuries are considered “temporary” or “permanent” under the law can greatly affect your payment. Because there is a hard cap on the amount of money you get paid per week, the value of your injury is usually determined by the number of weeks you receive the payment. South Carolina has set maximum limits on the number of weeks you receive payment for certain injuries. Your workers’ compensation insurance company will adjust this number depending on the severity of your injury. Payment periods involving back injuries are more nuanced, and likely require a medical examination to determine just how much use you have lost in your back. It’s important to remember that these are maximum payment periods. In other words, if the body part in question has been amputated or rendered useless from permanent nerve damage, you may get the amounts listed above. But if your injury is temporary, you will likely get your payments for a shorter period of time, most likely until your injury heals and you can go to work again. Workers’ compensation laws also attempt to determine the severity of the injury. Totally disabled individuals generally get a longer time to receive payments, with the rationale that it often takes longer to recover from an injury that has left you totally disabled. A temporary total disability can give you a maximum payment period of 500 weeks, while a temporary partial disability only gives you a maximum of 340 weeks. You lose the use of both hands. You lose the use of both feet. You lose the use of both arms or shoulders. You lose the use of both legs or hips. You lose vision in both eyes. You can also qualify for total disability if you lose any combination of the above injuries. For example, if you lose vision in one eye and the use of one hip, or losing the use of one leg and one foot, you would qualify as totally disabled. People who permanently lose use of any two body parts listed above qualify as permanently and totally disabled, and receive benefits for the full 500 weeks. All of the above injuries have clearly written and strictly enforced limits. You’re not likely to get the maximum payment period, and even if you do, you will not get any more than that. However, there are some injury types that have no maximum payment period. People with these injuries are paid their average weekly payment for the rest of your life. People claiming any of these injuries will likely have to undergo a medical examination to prove that their injuries meet the approved medical definition. If you or a loved one has been the victim of a work accident that leaves you unable to work or pay your bills, you may qualify for workers’ compensation. Having the lawyers at McWhirter, Bellinger & Associates on your side can help ensure you get a fair deal from a workers’ comp insurance company. To schedule a free case review with McWhirter, Bellinger & Associates, contact us by calling 888-353-5513. We serve clients in Lexington, Columbia, Newberry, Camden, Sumter, Aiken, Orangeburg, and throughout South Carolina.